Street grids are a key ingredient in a walkable city. Fortunately, many American cities — especially the older ones — were endowed with tightly knit grids, dispersing traffic of all types and creating good connections for people on foot. 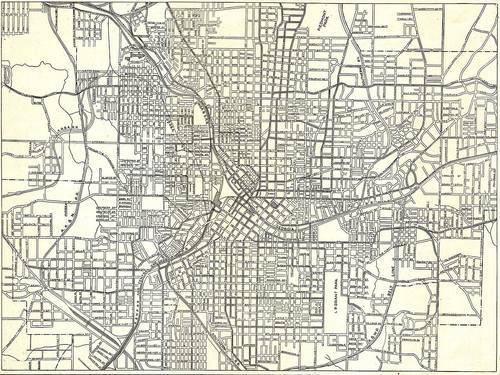 The bad news, of course, is that the usefulness of many street grids was severely curtailed by interstate highways and other 20th Century interventions. 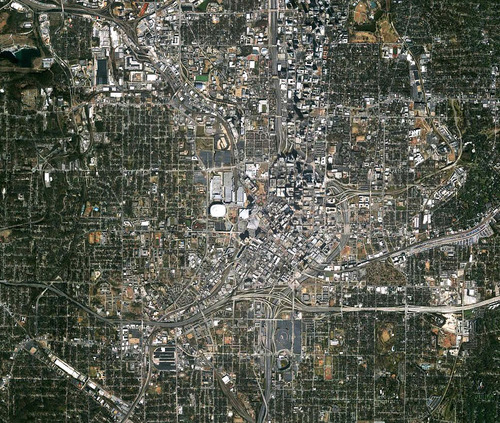 Darin at Network blog ATL Urbanist explains how Atlanta degraded its street grid, comparing the above map with the one below. How can you completely screw up a lovely grid and ruin the connectivity between neighborhoods, rendering a city less walkable and more car-oriented? 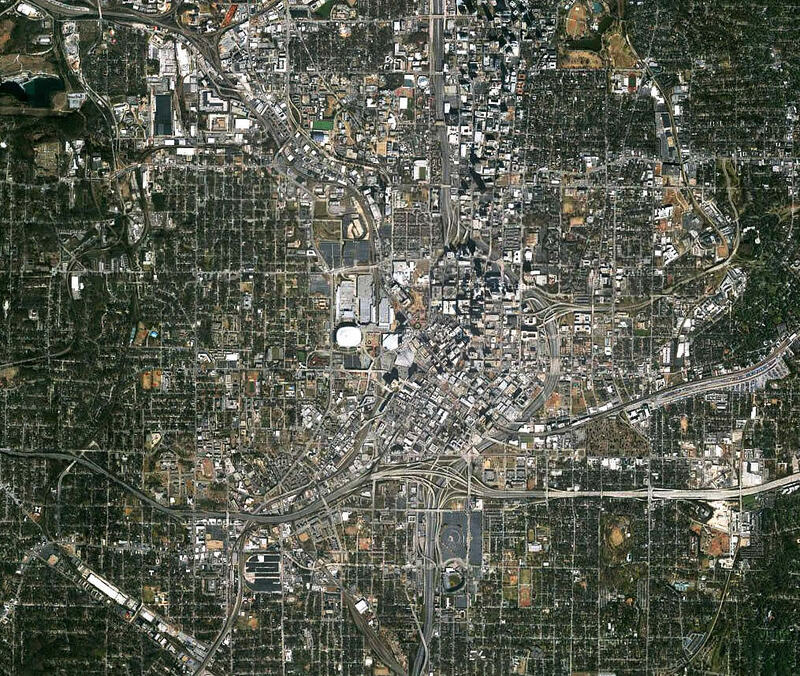 Enlarge this satellite map of the current Atlanta and notice the way interstates 75 and 85 slice through the streets of Midtown and Downtown, and most significantly how their interchange with east/west I-20 forms a weave of asphalt that might as well be a crater. Then notice the enormous walls created by Turner Field’s parking lots at the lower right and the World Congress Center in the middle, above the Dome. Reconnecting these segments of the city divided by highway infrastructure and more is key to a more walkable future, and street-level projects like the Atlanta Beltline and the upcoming streetcar will hopefully help a great deal. Elsewhere on the Network today: Urban Cincy says it’s important to understand that streetcar opponents in the Cincinnati region oppose all types of transit investments, not just this specific project. Better Institutions writes that the way rich people actually inflate rents in cities is misunderstood — the real problem is affluent opponents of dense development. And the State Smart Transportation Initiative reports that the state of Washington will stop focusing on congestion as a measure of the performance of its transportation system. What Else Could Cities Do With the Space Devoted to Cars?